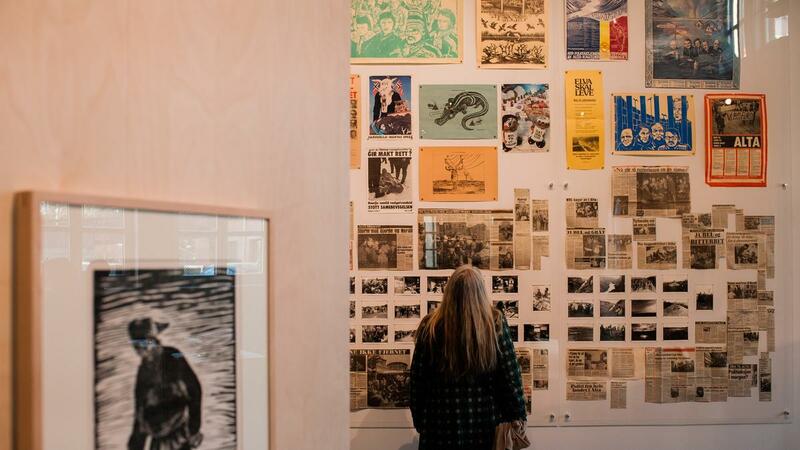 Let the river live: One of the most effective tools to visualize the huge media coverage of the Áltá-Guovdageino Action was an enormous wall crammed with international and national articles. Perspectives from the North – no, it’s not only about northern lights and breathtaking landscapes. Have you ever seen a «power necklace,» full of reindeer heads and made of plaster? Never? Me neither. Until now. A week ago, the grand premiere of the new exhibition «Let the river flow» suitably took place right next to Aker River inside the hall of Contemporary art Norway (OCA). The exhibition: Many of the art works had a strong political context and were dominated by the traditional colors red, yellow and blue. It is here that the Scandinavian minimalistic interior meets the indigenous Sámi art for the first time, in the most beautiful way. Throughout history, Sámi people have experienced extensive discrimination. 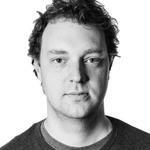 ‘Let the river flow’ want to spread awareness of Sámi people’s life and politics. Surprisingly few people know about the the Áltá-Guovdageino Action which had its peak during late 1970s – early 1980s. Before the river starts flowing, let’s take a brief detour for some history. One morning in 1974 the Sámi people in Masi village in the northern part of Norway woke up to another average day. At the same time hundreds of miles down south, drastic decisions were made in the Oslo Parliament. Politicians planned to build a new hydropower plants straight over Masi village, which would flood the entire village and lead to hundreds of homeless people, all for the sake of electricity. This was not easily accepted by the Sámi people. Shortly after, the long-term protest begun. The action was named «Let the river live» and would change Sápmi land (which includes the northern parts of Norway, Sweden, Finland and some part of Russia) forever. They protested in Oslo and in Stockholm and were a part of the new wave of environmental consciousness and indigenous empowerment during that time. The Gátki: Sámi people from the whole of Sámpi land streamed to the opening in Oslo, wearing their traditional Gátkis. The dominant colors are usually blue, red and yellow and every land, village and even family has their own design. The action led to some dramatic hunger strikes outside the Parliament in Oslo in 1979 and 1981. Eventually, the new hydropower plant plans stopped. In 1977, the new Sámi parliament were created in Sweden and in 1989 Norway also created a parliament for the Sámi people. 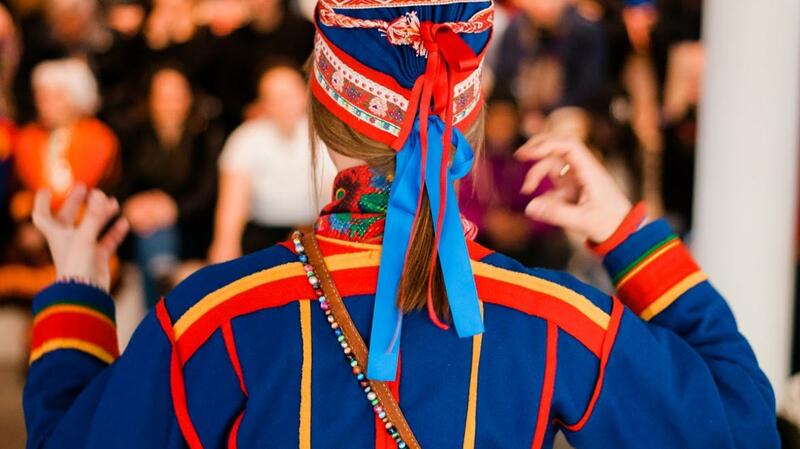 Despite these positive impacts, the Sámi people still face their challenges. The very same day of the exhibition opening last week in Oslo, a traditional Sámi hut in Sweden was burned to ashes by the county administration One might say that the Áltá-Guovdageino Action became both historical and history. 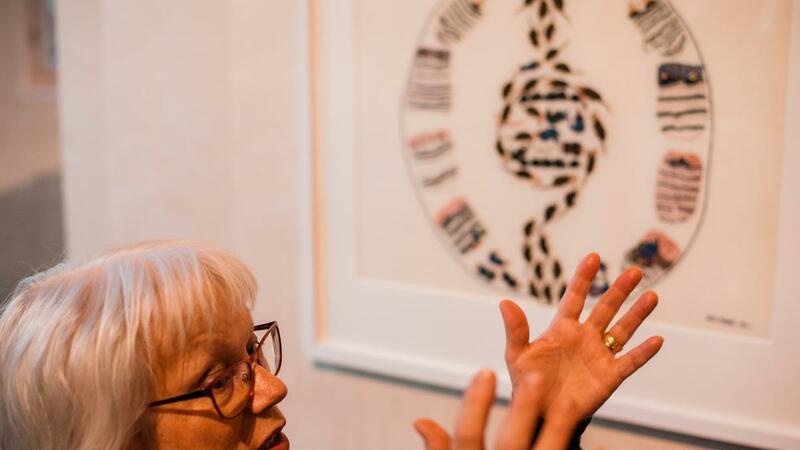 Over the last three years, artists, cultural enthusiasts and academics from Sami communities have united for a single goal: to showcase Sámi culture so that we don’t forget the past. The exhibition hall during the opening was full. There was a refreshing mix of the Gátki, the traditional Sámi clothes in red and blue, and average Oslo-ites with leather jackets and white converse during one of the first spring days this year. After one hour of mingling, the room was filled with yoyking (traditional Sámi music), and within seconds, the room was full of goose bumps, pain and hope. The wall on the left-hand side of the stage was almost 10 meters tall, and filled with newspaper articles, painting a tangible picture of the activism throughout the the Áltá-Guovdageino Action. Henrik Olsen, a member of the Sámediggi (Sami Parliament) made a speech about Paulus Utsi, a Sámi activist and poet who was forced to move several times in his life due to the hydro power plants. 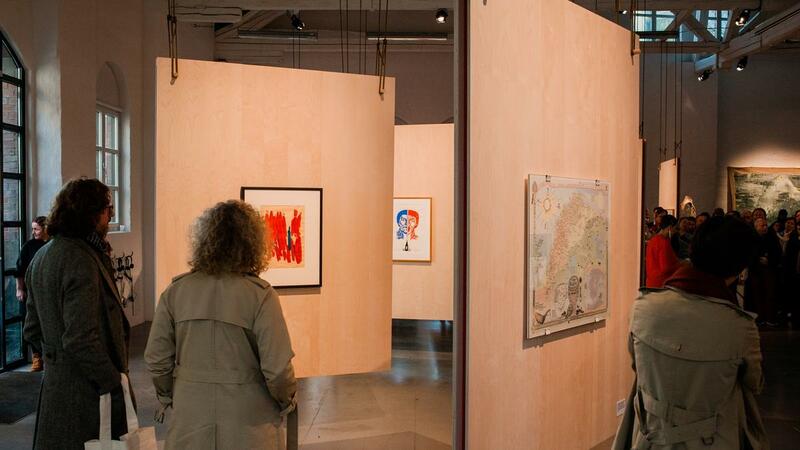 Sámi art often equals political art, since their stories rarely reach the Norwegian press. By the end, it became clear that basic needs, even the very existence of the Sámi people, are constantly under threat. This still happens. Today. In Norway. And the least we can do, is to educate ourselves, discuss and spread awareness. And visit the exhibition. As the director and chief curator Katya García-Antón said: ‘Let the river flow’ means for us to crush the current colonization. «Let the river flow» runs until June 3 at the Office for Contemporary Art Norway at Nedre gate 7, 0551.